Excited about the new Star Wars movie debuting soon? Who isn’t? 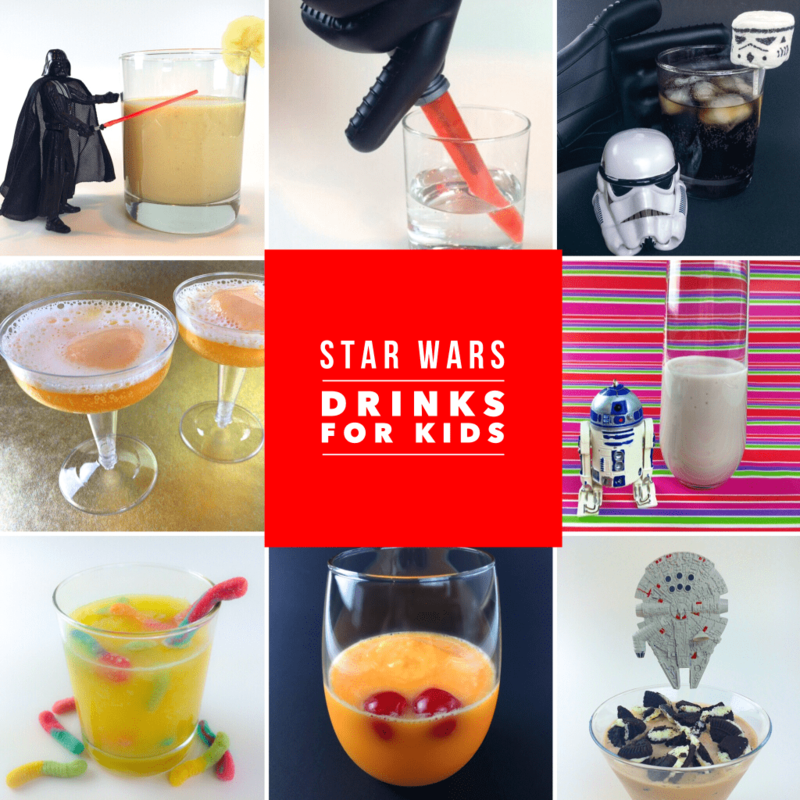 Here are some Star Wars inspired drinks and mocktails recipes for kids – and adults alike – for celebrating your favorite Star Wars films. Each recipe has only 3 ingredients – or less! Want to make a Dark and Stormy even better? 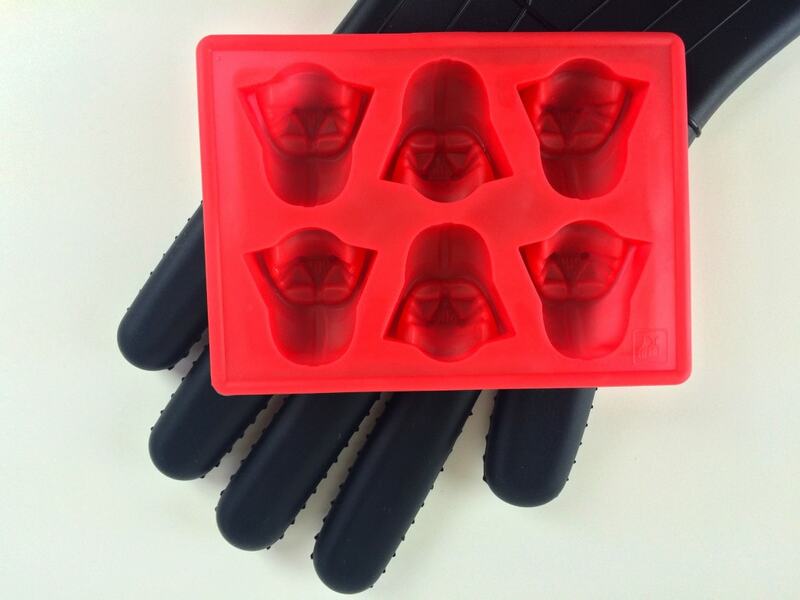 Use Darth Vader ice cubes instead of normal ones. Create Stormtrooper Helmets using a marshmallow and food-grade marker. Use this tutorial to easily make the Stormtrooper marshmallows. Add ice to glass. Cover with Coca-Cola. 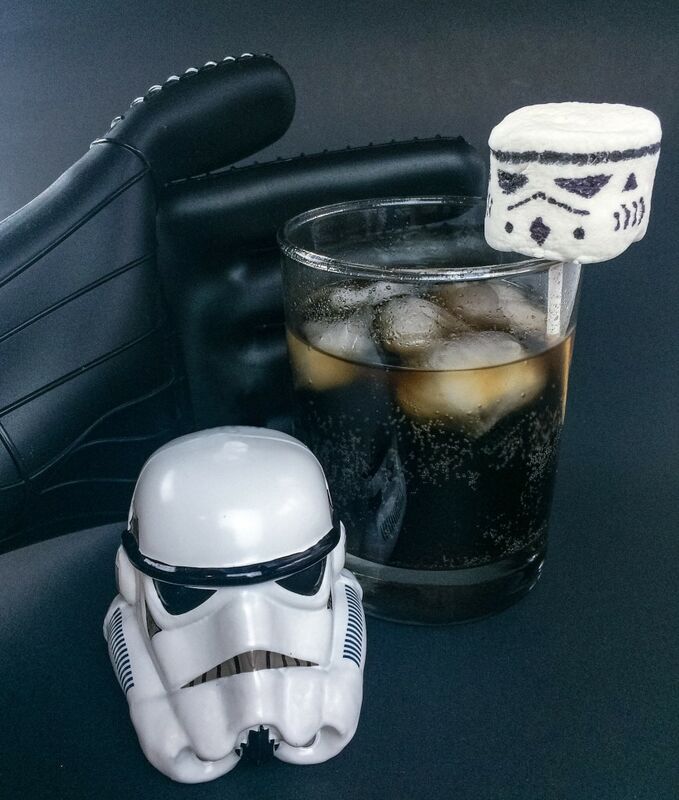 Either float the Stormtrooper marshmallow on top of the ice, or place it on a lollipop stick and insert into the drink. 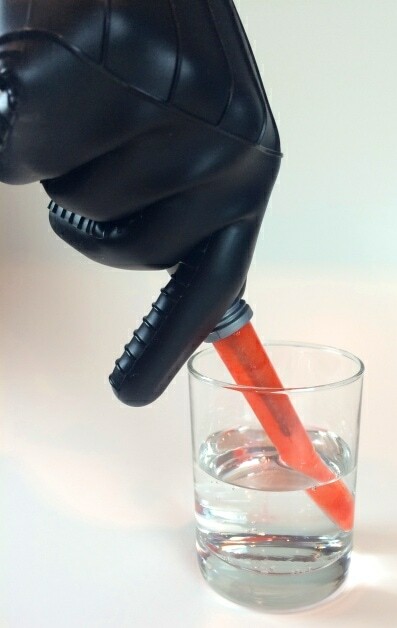 This Darth Vader oven mitt is perfect both to serve up drinks and bake up cookies! Stir orange sherbet and orange juice together until just blended. Pour into a glass. 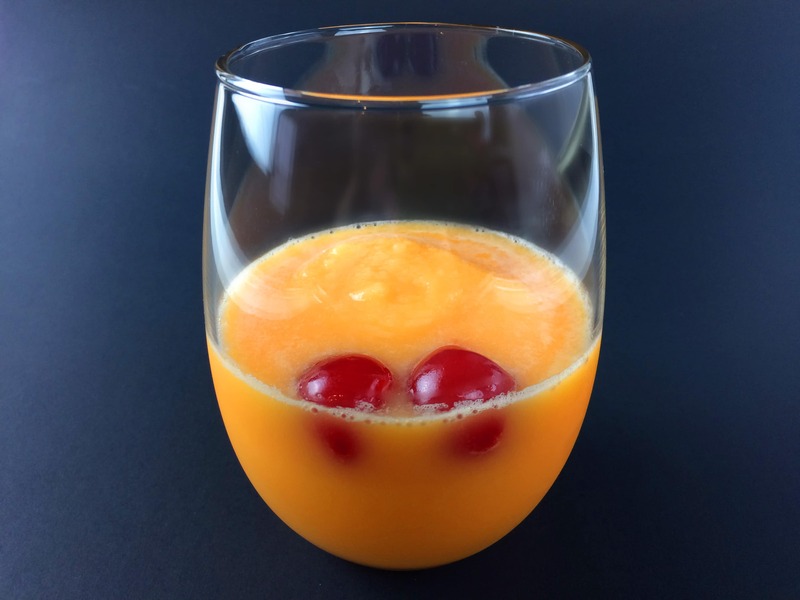 Immediately before serving, add two cherries alongside the edge of the glass, so that they are visible and resemble a sunset. Choose your side. Which color will you choose – a red lightsaber or blue? Perhaps green? 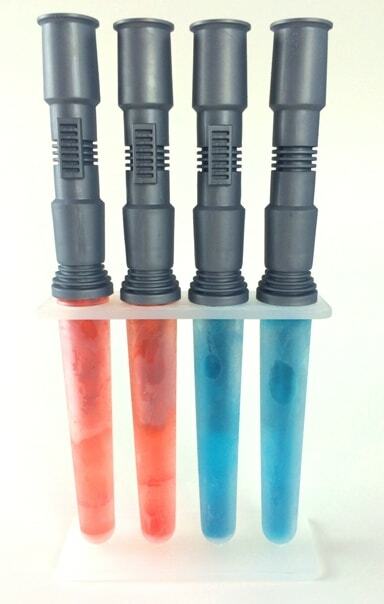 Once you have decided on colors of your lightsaber, add 4 drops of the specific food coloring to 1/2 cup water. This is enough liquid to make about 4 ice lightsabers. Alternatively, you could use colored fruit drinks, such as fruit punch or PowerAde. Freeze the lightsabers until solid. Pour lemon lime soda in a glass. 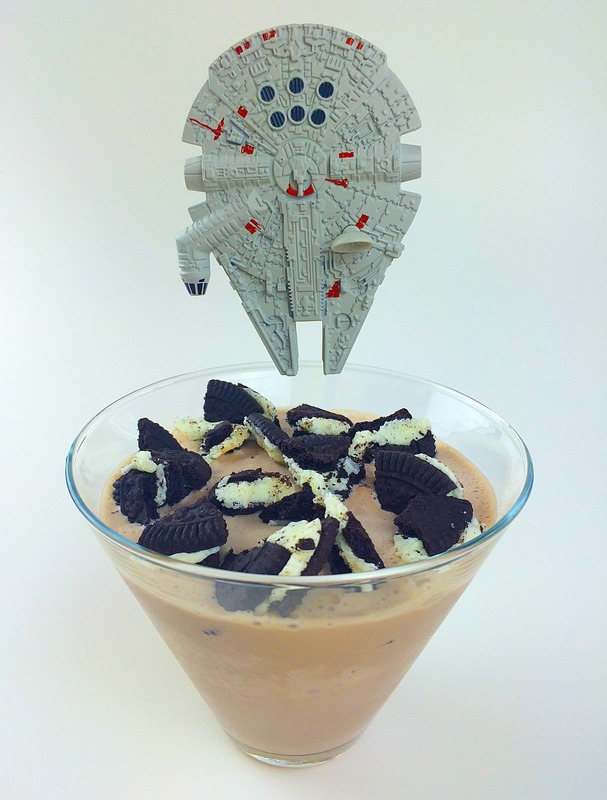 Immediately before serving, remove frozen lightsaber and add to the glass. Combine blueberry yogurt and milk. This can be done by stirring with a fork, a whisk or in a blender. Add vanilla extract if desired. 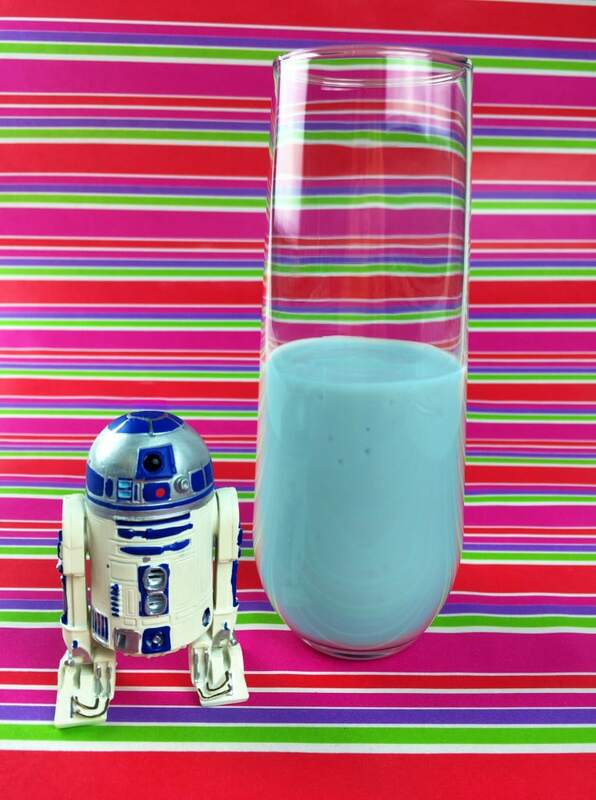 Want a more blue color to your Blue Milk? 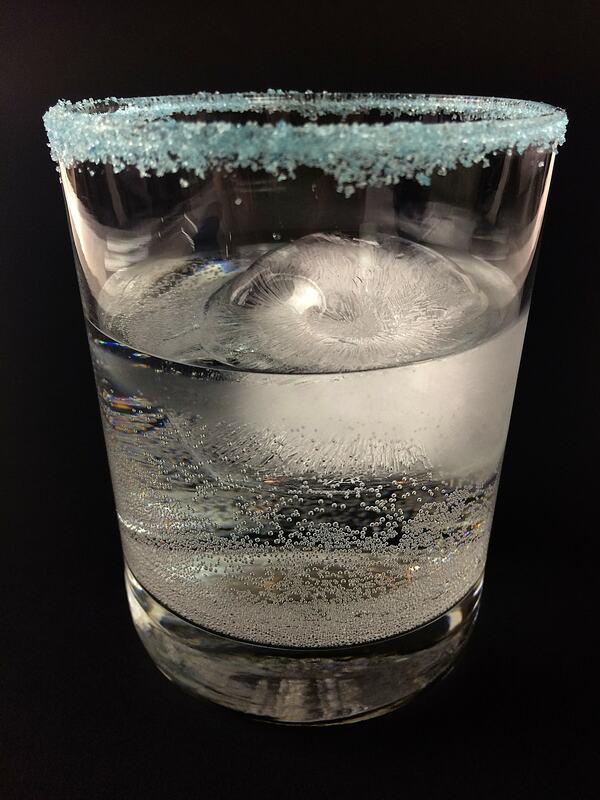 Add a drop or two of blue food coloring. Prop used is a Hallmark Christmas ornament. 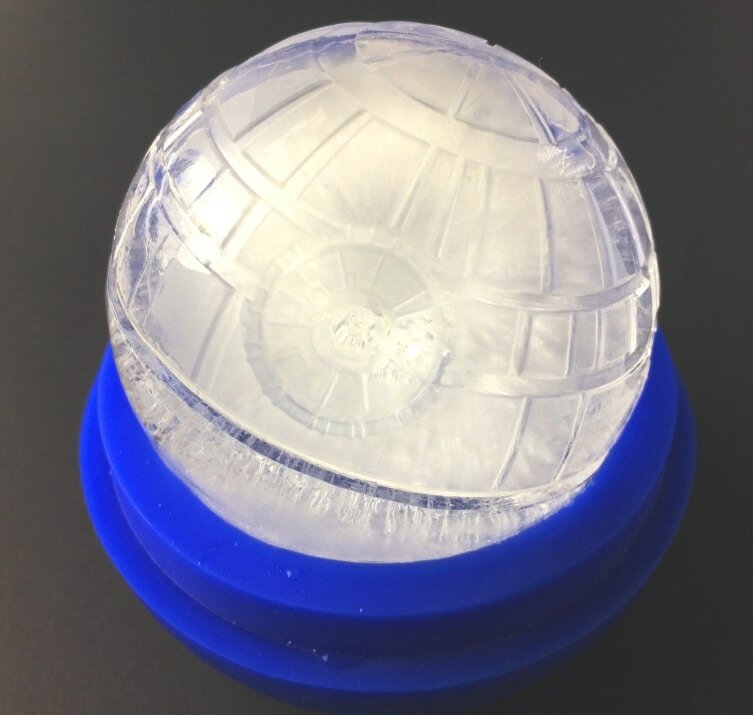 Make Death Star ice cubes ahead of time. (Tip: Don’t fill mold completely full. Leave a bit of room for ice to expand). Add one Death Star ice cube to the glass. Cover with lemon lime soda. Blend all ingredients together. Add to a glass. Garnish with a slice of banana. Place two crushed chocolate cream cookies on bottom of a glass. Quickly blend together ice cream and milk, leaving a bit chunky (don’t liquefy the drink, just enough to blend together). Top with two more crushed chocolate cream cookies. Toy: Hot Wheels Millennium Falcon. 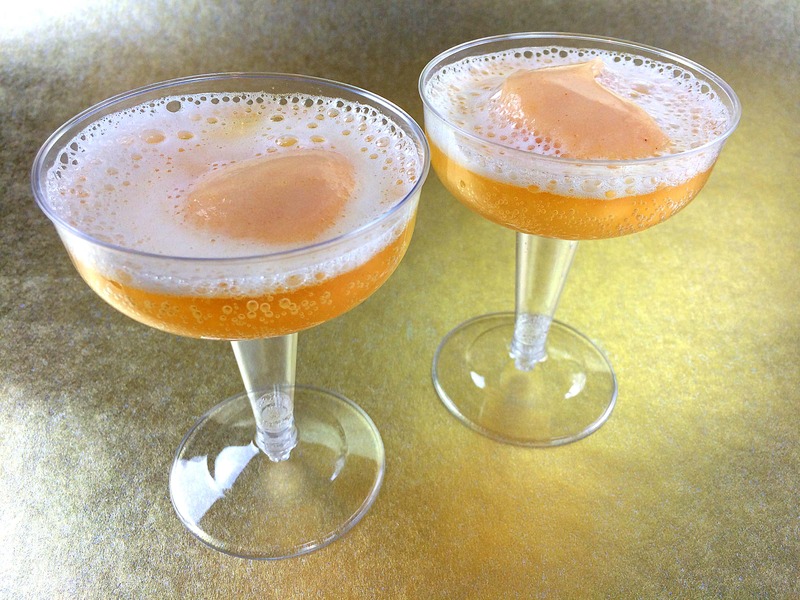 While you can serve up Utinni Bellinis – a non-alcoholic version of the famous Italian bellini – in any type of glass, it’s fun to celebrate by serving the drinks in champagne glass (we used disposable plastic ones – just to be safe!). Larger glasses will require larger amounts of ingredients. Add peach puree in a glass. Top with sparkling white grape juice. 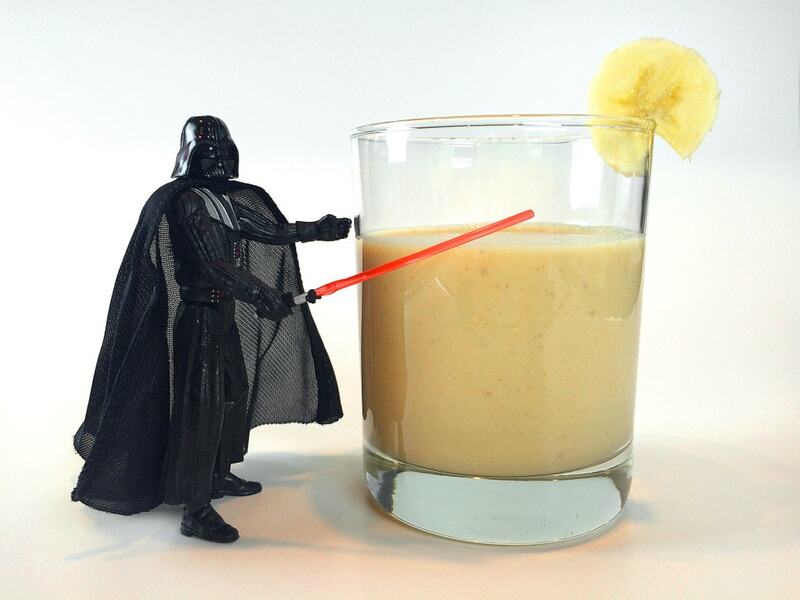 Blend sports drink and pineapple together in blender. 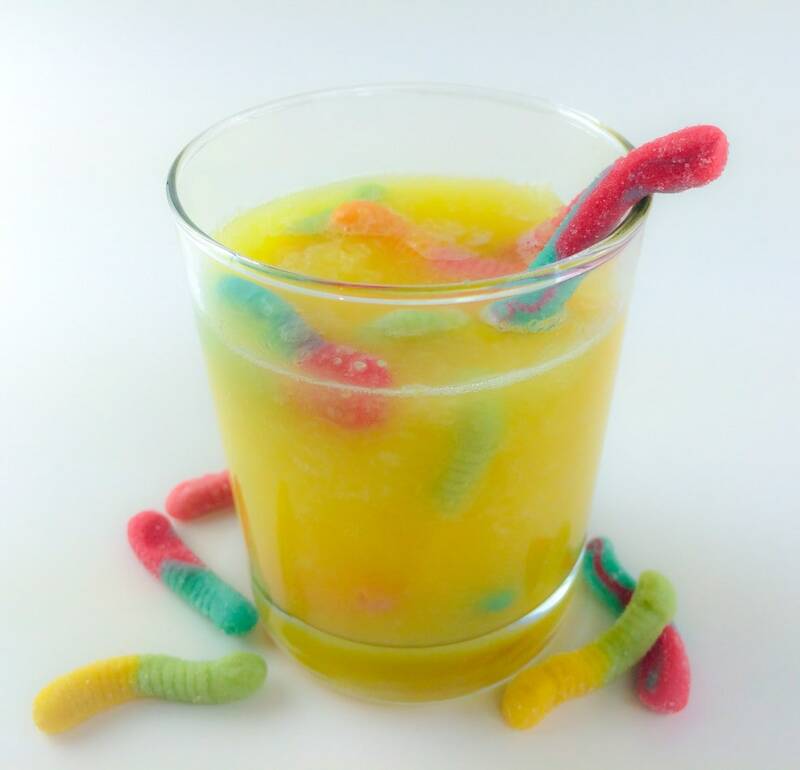 Add gummy worms in the glass, as well as positioning one on the edge of the glass. Get our brand new E-book! 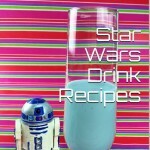 Star Wars Drink Recipes – A Galactic Collection of Star Wars Inspired Cocktails and Mocktails for the Entire Family! Buy it here. 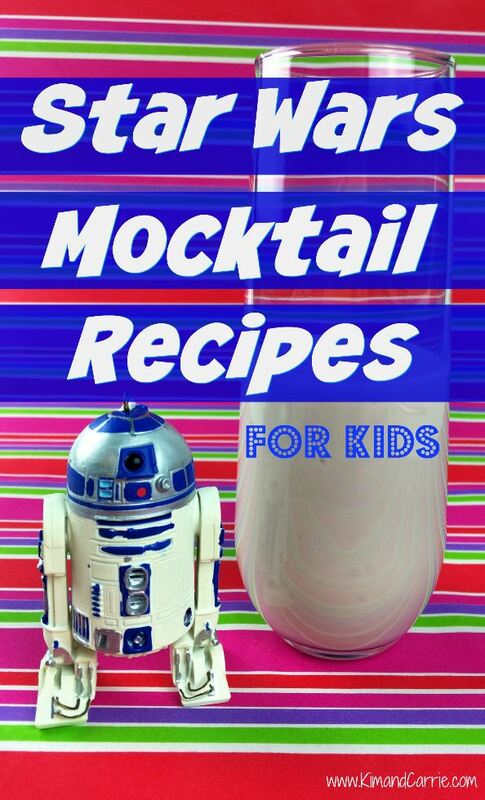 Here’s a 10th Star Wars Mocktail recipe idea perfect for kids! Check out our YouTube video to see how to make it. We love this Chewbacca Jacket (it’s REALLY warm and furry!) This Chewie Christmas ornament is so cute, too! Pin & Share! 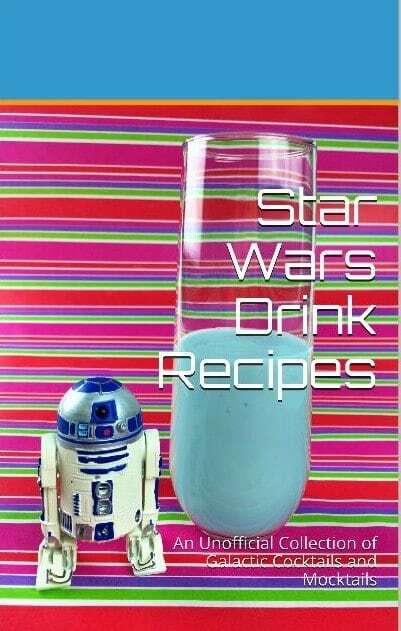 Bookmark these recipes so you’ll have them the next time you want to celebrate Star Wars! I’ll try to make some of this drinks for my boyfriend. I’m sure he’s gonna love them. We’re sure he will, too!!! These are great! Pinned and FBrd them. These look like so much fun. I know some adults that would love these too!. lol.